Bharti Airtel, the leading telecommunications services provider with operations in 20 countries across Asia and Africa, announced that it has partnered with Radio Express, a leading international branded audio company, to launch two newly created shows on local radio stations across 17 African countries. The weekly countdown shows, Airtel Music Express (in English) and Airtel Musique Express (in French) are produced by Radio Express and feature the hottest Hip-Hop, R&B, and pop artists on the African airwaves, connecting people to performers from Africa and beyond. Both shows feature global hits, as well as local hits in each country. The charts are based on airplay reports from dominant mainstream music radio stations throughout sub-Saharan Africa. Airtel Music Express is an English language program hosted by African superstar IK (“I.K.”), and features music from artists including Wyre (Kenya), Tiwa Savage (Nigeria), Magic System (Côte d'Ivoire), Bebe Cool (Uganda), and Lady Jaydee (Tanzania). Airtel Music Express airs weekly in Kenya, Tanzania, Uganda, Rwanda, Malawi, Sierra Leone, Zambia, Seychelles, on six stations in Ghana and on 13 stations across Nigeria, including Lagos, Abuja, Pt. Harcourt, Jos, Benin, Awka, Nsukka, Ibadan, Kaduna, Kano, Oraifite and Effurun. The second radio show, Airtel Musique Express is a French language program hosted by African personality, Jed, and features music from French-speaking artists like Alain Ramanisum (Mauritius), Constance (Senegal), DJ Arafat (Côte d'Ivoire) and Fally Ipupa (Dem. Rep. of Congo). Airtel Musique Express airs weekly in Burkina Faso, Madagascar, Niger, Chad, Rep. of Congo, Dem. Rep. of Congo and in Gabon. 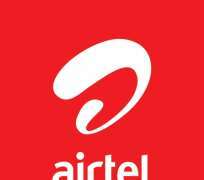 With a presence across 17 African countries, Airtel is the largest telecom service provider across the Continent in terms of geographical reach and had over 66 million customers at the end of quarter ended September 30, 2013. Globally, Airtel is ranked as the 4th largest mobile operators in terms of subscribers. Tom Rounds is an American radio innovator who founded the largest American Syndicator, Watermark, in the late 60s. In 1970, with Casey Kasem, he headed the team that launched and marketed the iconic and ubiquitous original hit countdown show, American Top 40. After Watermark was acquired by ABC in 1982, Rounds started Radio Express with ABC as its first supplier. By the late 1990s, Radio Express was producing most of its own product.